NHI: What next for your medical aid scheme? Did NHI receive enough funds to keep going? 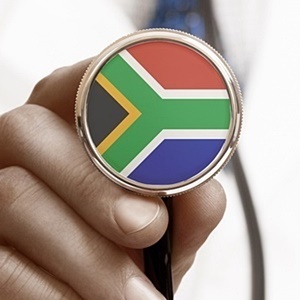 National Health Insurance (NHI) will be mandatory for all South Africans to contribute to, but individuals can decide if they still want to be members of private medical schemes in addition to making use of NHI, according to an expert. Last week, Health Minister Aaron Motsoaledi gazetted two bills which will shake up the healthcare system. These are the NHI Bill and the Medical Schemes Amendment Bill, and they seek to address the "terrible twins" of the healthcare system – the exorbitant cost of private healthcare and the poor quality of care in the public health system. NHI is being implemented in multiple phases. The first was completed in 2017 and involved the piloting of certain services in certain districts, Dr Katlego Mothudi, MD of the Board of Healthcare Funders of Southern Africa, told Fin24. Mothudi explained that the current phase of NHI sees the alignment of the Medical Schemes Bill with NHI through several amendments. This means the way medical schemes operate will change while government is determining a way to implement NHI. Among the areas being addressed is the cost of private medical schemes. Motsoaledi announced that among the proposed changes was the abolishment of co-payments. This means the cost of healthcare will have to be fully covered by medical schemes and members will not have to fork out money to pay for care for any gap that may arise. "The government is already starting with the financial protection of beneficiaries," said Mothudi. Also to be abolished is the practice of prescribed minimum benefits (PMBs), which will be replaced with comprehensive service benefits. According to the health minister, prescribed minimum benefits were mostly hospital-based conditions. Comprehensive benefits will include primary healthcare like family planning, vaccination, screening and wellness services. Mothudi explained that there had been complaints about the excessive cost pressures brought on by prescribed minimum benefits. Further, benefits of medical schemes are to be aligned to NHI, he explained. During his address at a briefing last week, Motsoaledi explained that once NHI is fully operational, there will be no need for state-sponsored schemes such as Polmed or the Government Employee Medical Scheme (GEMS). "Only definite pronouncements were made over state-sponsored medical schemes," Mothudi recalled. Private medical schemes will exist to the extent to which they are able to redefine their offerings – over and above or alongside what NHI will offer, Mothudi explained. "There will be mandatory requirements to contribute to NHI, but participation depends on whether you can afford additional care," he said. "Our thinking is that there are limited resources. When it comes to comprehensive packages, there’s no way government will be able to offer all the services possible." Government will likely offer basic packages such as health promotion, preventative packages, screening of some cancers and school health. People should then be able to get benefits they can’t access via NHI through schemes, Mothudi explained. Mothudi also said that there were concerns about the quality of care provided through NHI. The NHI Fund, which will be established in the last phase (between 2022 and 2026), will address the issue of quality care. "There will be public institutions that will maybe not qualify to participate if the quality of work is not deemed to be at the appropriate level," said Mothudi. Institutions must comply with the requirements of the criteria for service provision. The minister said that 12 Acts would have to be amended before NHI comes into full effect. As for the funding of NHI, Treasury will determine how much to allocate from its annual tax revenue bucket and how much must be contributed by South Africans. But these are regulatory frameworks which still have to be ironed out, as the public has less than three months to submit their comments on the Bill, Mothudi said.